Park Century students enhance their musical education using fundamentals based on the Orff Schulwerk method. This method of teaching integrates music, movement, speech, and drama in an effort to build musicianship in every style of learner. It proves to be an accessible way to learn music without the frustration of the classical pedagogy by allowing children to begin with what they do instinctively - play! 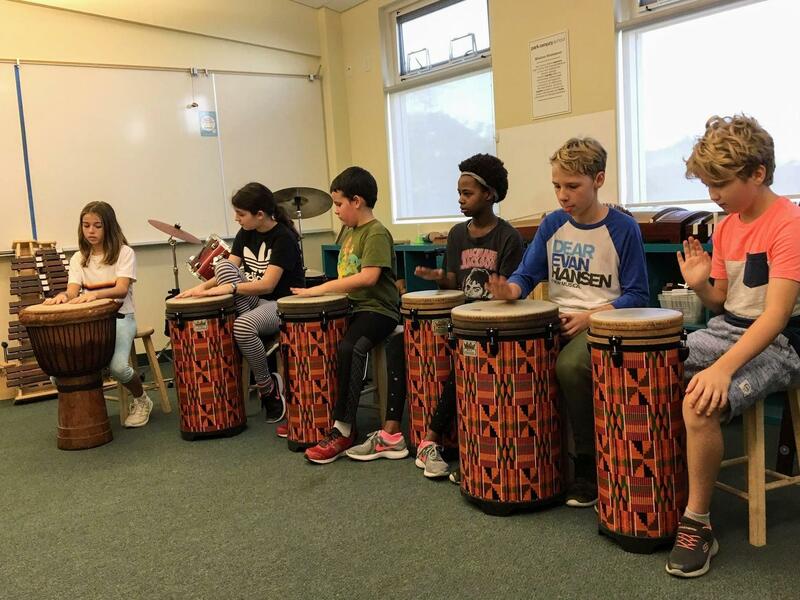 Through imitation, experimentation, and personal expression, each student explores music at their pace and builds confidence by learning rhythms and melodies from around the globe. Every spring, our students perform pieces they've worked on throughout the year during Grandparents and Special Friends Day. This performance allows students to showcase their progress and gives them an opportunity to share their love of music with our community. Our music classes create a culture at Park Century where students are excited to become life-long musicians and encourage each other to share their musical ideas and talents.